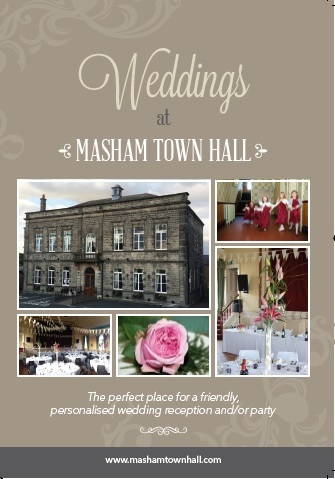 All spaces within Masham Town Hall are available for hire for community activities, meetings and conferences, performance and music events, dinners, dances, weddings and parties large and small. The building is fully licensed for public entertainment and sale of alcohol, and there is wi-fi throughout. Our newly refurbished Hall has an elegant welcome for any event, with lots of opportunity to personalise if you wish. Please see facilities for details of all our rooms. We can offer exclusive use of the whole Town Hall building from 6pm on the night before your event through to 12 noon on the day after, giving you ample time to set up and clean up (we can provide cleaning for a small charge..).